Health care providers in IHS facilities and hospitals have long been reluctant to raise end-of-life issues with Native American patients for fear of violating tribal customs. Dr. Pesantubbee will discuss Navajo beliefs associated with illness and death and how those ideas informed Navajo refusal to consider advance directives. She will conclude with a summary of how the Fort Defiance Indian Hospital staff worked with Navajo social workers to devise a plan that resulted in extraordinary success rates in obtaining Navajo end-of-life directives. Michelene Pesantubbee is an associate professor of religious studies at the University of Iowa. She specializes in Native American religious traditions especially Native American women and religious change and Native American religious movements. 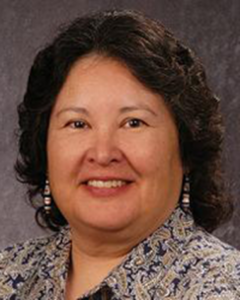 She is the author of Choctaw Women in a Chaotic World published by the University of New Mexico Press.